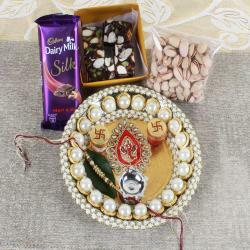 Raksha Bandhan festival without the decorative Rakhi thali is quite incomplete. 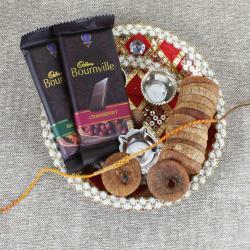 Decorating the puja thali on Raksha Bandhan can be considered as most auspicious in India. Ganesha Rakhi Puja Thali consists of Rakhi thali tinted with the symbol of Lord Ganesha idol as well as colorful stones with beads that gives astonishing look to Thali. Delightful Rakhi thread includes combo that add more traditional touch with combo. 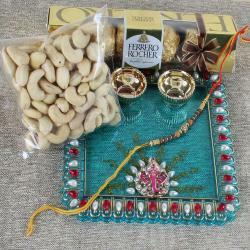 Attractiveness, Sweetness and Spirituality is indeed a great hamper using the pleasurable element in World for Raksha Bandhan. 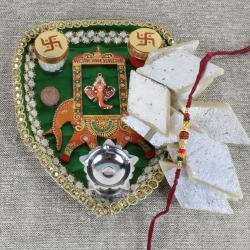 It is a perfect combo of Rakhi and Chocolates along with Ganesha to guard your beloved brother. 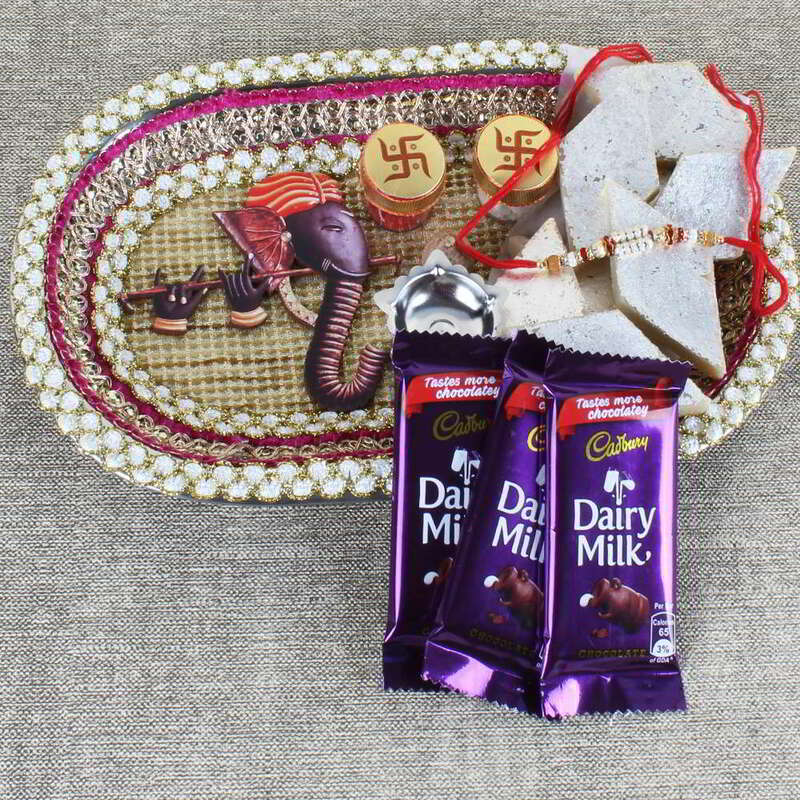 Product Consist: Ganesha Puja Thali, Kaju Katli (Weight: 100 gms), 3 Bars of Cadbury Dairy Milk Chocolate (Weight: 12.5 gms) aling with Shiny Beads Rakhi.